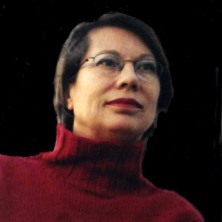 1948 Born near Düsseldorf, has been publishing since 1977 under the name Angela Thomas, sometimes under Angela Thomas Jankowski and Angela Thomas Schmid. 1974 Angela Thomas meets Max Bill and becomes his partner for the next twenty years and in 1991 his second and last wife. She accompanies him on several trips. 1980 essay Angela Thomas «Georges Vantongerloo (1886-1965) and his engagement with artists' groups of the thirties with special attention to Abstraction-Création (Paris)», University of Zurich. 1983 exhibition catalogue «Sophie Taeuber-Arp. 1889-1943», Museo Comunale Ascona (Italian, German); selection of works, exhibition curating and catalogue author: Angela Thomas Jankowski, catalogue design: Max Bill. 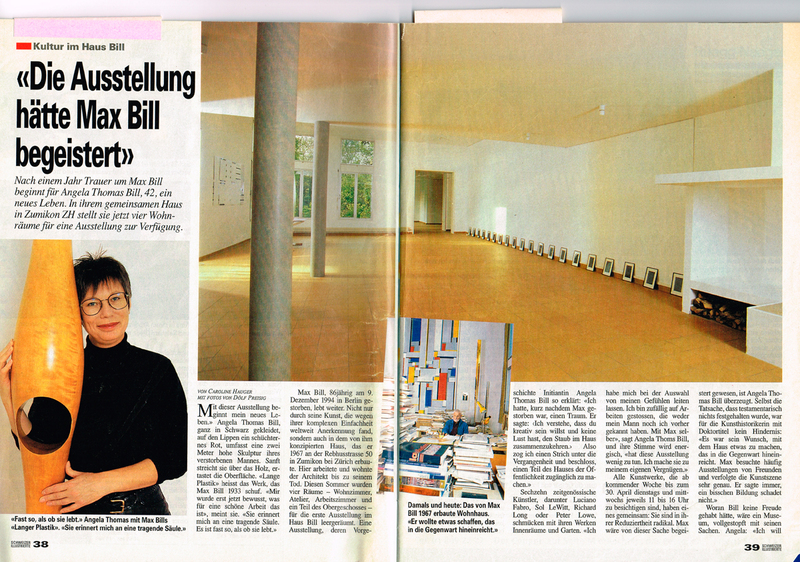 1987 exhibition curator: «Angelica, Anna and other sisters of yesterday», 94 works by 40 female artists, chosen and curated by Angela Thomas, Kunsthaus Zurich. 1987 Dissertation Angela Thomas: «Thought pictures - Material about the development of Georges Vantongerloo until 1921 - taking into consideration the correspondence between him and Theo van Doesburg and Piet Mondrian», Faculty of Philosophy, University of Zurich / Edition Marzona, Düsseldorf 1987, ISBN 3-921420-31-8. 1988 After Binia Bill's, Max Bill's first wife's, death Angela Thomas moves into the house and studio of Max Bill in Zumikon (near Zurich). 1989 essay by Angela Thomas Jankowski entitled «Max Raphael, called Machol» in the book publication «We won't let our world be destroyed», Max Raphael's work in discussion, published by Hans-Jürgen Heinrichs, Suhrkamp Taschenbuch Wissenschaft, stw 794, Suhrkamp Verlag Frankfurt am Main 1989, pp 219-241, ISBN 3-518-283994-4. 1991 Angela Thomas book publication: «With unaltered view - essay about three artists: Anna Baumann-Kienast, Alis Guggenheim, Sophie Taeuber-Arp», Benteli Verlag Bern, design: Max Bill, ISBN 3-7165-0807-1. 1991 Marries Max Bill. Since the marriage with Max Bill Angela Thomas Bill is of Swiss nationality. 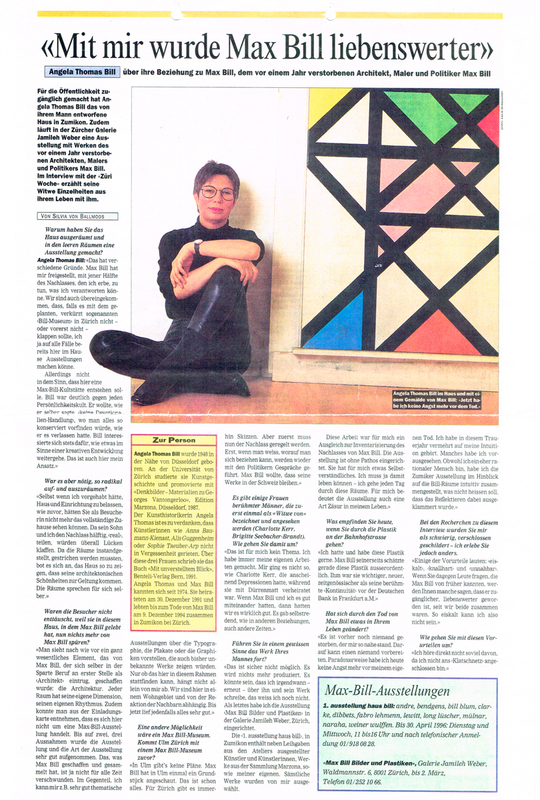 1993 Angela Thomas text contribution «Max Bill: The early years - an interview» in: The Journal of Decorative and Propaganda Arts, no 19, Swiss Theme Issue, The Wolfson Foundation (English), pp 98-119, ISBN 0-9631601-2-5. Exhibition catalogue «Max Bill» at the Fondation Saner Studen. Essays Angela Thomas: «Conversation with Max Bill» (German), pp. 6-39 (with reproductions, amongst others photographed by Angela Thomas) and «Max Bill - relations avec la France» (French) pp. 40-69, 1993, design: Max Bill. 1994 Angela Thomas as widow becomes the lawful heir of half of the estate of Max Bill, who died on 9 December at Tegel Airport in Berlin. 1995 book publication Angela Thomas Bill «Max Bill - The Graphic Works», Verlag Gerd Hatje, Stuttgart, 1995, ISBN 3-7757-0311-x. 1996 exhibition catalogue, essay Angela Thomas Bill «An Artistic Friendship» (English), for the exhibition «Max Bill Georges Vantongerloo - A Working Friendship, 50 Years of Sculpture, Painting and Drawing», Annely Juda Fine Art, London. After Max Bill's death Angela Thomas Bill founded the «Max Bill Georges Vantongerloo Foundation». Angela Thomas meets Erich Schmid in the autumn. 1998 After marrying Erich Schmid on 8 August 1998 Angela Thomas Bill gives up the name Bill and calls herself Angela Thomas Schmid. The wedding day is celebrated with a fireworks display in the garden by the artist Roman Signer. Angela Thomas Schmid and Erich Schmid live in Haus Bill in Zumikon. 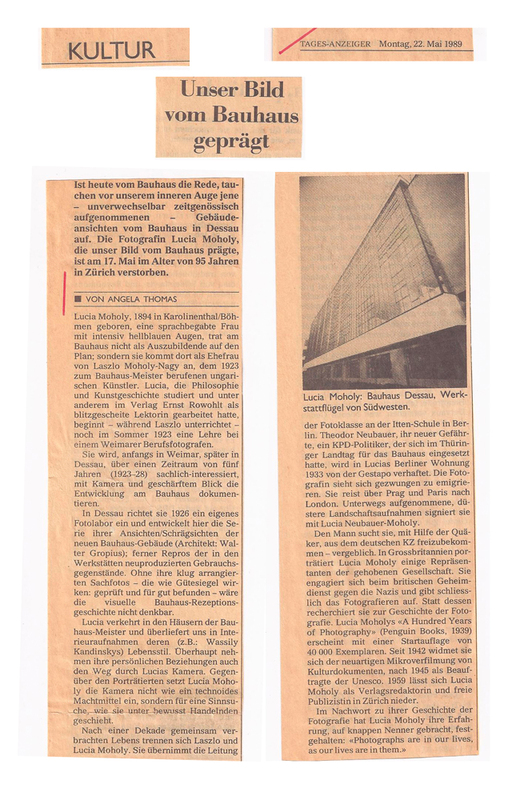 2005 essay for the catalogue of the large Max Bill retrospective in Stuttgart and Milan by Angela Thomas Schmid «Max Bill and Georges Vantongerloo», in «Bill, Max, architect, designer, graphic designer, sculptor and typographer», Hatje Cantz Verlag, pp 32-34, ISBN 3-7757-1641-6. 2006 essay Angela Thomas Schmid «Georges Vantongerloo (1886-1965) - The Innovative Stranger» (English) in: exhibition catalogue «Georges Vantongerloo», Annely Juda Fine Art, London. Erich Schmid Thomas is voted into the committee of the «Max Bill Georges Vantongerloo Foundation». 2012 work in progress. Angela Thomas Schmid continues to write on the second volume of the biography of Max Bill, which also describes Max Bill's travels and experiences in Brazil.